With the attention of Americans turned towards long weekends at the beach, barbecues and mountain getaways, we turn our focus to ten well-known international brands that are among the few non-U.S.-based companies to reveal their warranty expenses. It's the day before the U.S. celebrates Independence Day, which means it's once again time to take a look at warranty in the rest of the world. Last year, the fourth of July fell in the middle of the week, but this year it's ideally positioned to produce a three-and-a-half day long weekend in the U.S. So we expect to get back a record number of "out of the office" messages when we broadcast this newsletter. But in the rest of the world, the fourth of July is merely another day of the month. And in the rest of the world, warranty costs are still largely kept confidential, as they were before 2003 in the U.S. Fortunately, a few dozen manufacturers that sell shares of their stock on U.S. exchanges now routinely include warranty costs in their annual reports. 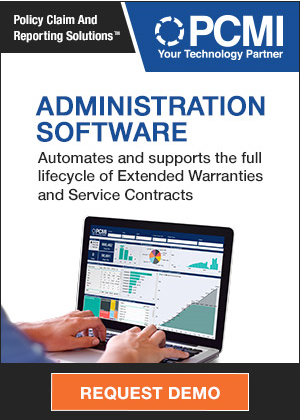 So what we've done is to take ten of the largest and turn their warranty reports into the same style of chart that we use for American manufacturers. We'll lead off the discussion with two of the top five passenger car brands in America, which just so happen to be based in Japan. Toyota Motor Corp. and Honda Motor Company Ltd. both end their fiscal years on March 31, and both recently provided details about their latest warranty spending figures. Toyota reported 324 billion yen in claims and 392 billion yen in accruals for the fiscal year ended March 31. Those figures were up significantly from a year ago, when the company reported 280 billion yen in claims and 337 billion yen in accruals. But because of a gain in sales, the claims rate and accrual rate rose only slightly. Notice how each year claims paid rises by a little bit, forming what looks to be a staircase, while the claims and accrual rates rise much more slowly. This is caused by rising sales, which allow the carmaker to spread more warranty spending over vastly more vehicle sales. Since 2003, Toyota's claims rate has remained between 1.2% and 1.3%, while its accrual rate has risen from 1.4% to 1.6%. Over the same period, General Motors' claims and accrual rates have varied from 2.5% to 3.7%. While they're not directly comparable for a variety of reasons, it helps put the relative stability of Toyota's numbers into perspective. The annual figures have been spread out over four quarters to make them fit into the quarterly format we use for American manufacturers. For that reason, each group of four consecutive quarterly claims or accrual figures are identical, and all are labeled as estimates. We would switch to an annual format that follows their respective fiscal calendars, except that some companies end their fiscal years on dates besides Dec. 31, and a few also report half-year figures. So it's simpler and more consistent to divide the annual figures by four and follow the quarterly format that most American manufacturers adhere to when reporting their warranty accounts. Next week, we'll take a look at the U.S. automotive OEMs and their suppliers. If it were possible, we'd create a chart for all automakers worldwide. But unfortunately, companies such as Volkswagen, Renault, Nissan, Peugeot, and Hyundai still keep their warranty figures secret, so there would necessarily have to be a lot of guesswork combined with the known facts. Honda, meanwhile, had reduced its claims rate from 1.6% in fiscal 2005 to 1.1% in fiscal 2007, but it rose back to 1.2% in the most recent fiscal year. However, Honda's accrual rate continues to slide, from over 2% in fiscal 2004 to 1.2% in fiscal 2008. Claims and accruals were roughly equal in fiscal 2006 and 2008, but were roughly 3/10ths of a percentage point apart in fiscal 2007. That's not much and doesn't really signal anything, and actually Honda's figures were more than twice as far apart in fiscal 2004. But it's additional evidence of the skill with which the automaker (and portable generator maker) manages its quality and warranty departments. Though not as flat as Toyota's charts, at least the general direction of this chart is downward. And there never seems to be any big surprises. The claims figures represented by the dark blue bars are denominated in billions of yen. As a courtesy, the companies usually include a U.S. dollar translation, but of course because of exchange rate volatility this changes from year to year. For the year ended March 31, the conversion factor was about 100 yen to the dollar, down from about 118 yen to the dollar a year before. This does not directly affect the claims rate or accrual rate, however, because the currency cancels itself out in the fraction that produces the percentage. If anything, it has lately helped non-U.S. companies that manufacture and/or sell in the U.S., in that it now takes less yen or less euros to pay for a claim paid in dollars. But remember, these are worldwide warranty spending figures, so they also include claims paid in Brazil, India, China, and Russia, as well as in the U.S. and Europe. And of course in the case of Toyota and Honda, it includes cars and trucks they manufactured in the U.S., sold in the U.S., and repaired in the U.S. If anything, it's American manufacturers who export that are on the wrong end of the currency conversion when it comes to warranty costs. They report their accruals at the time of sale, in dollars. But then a year or two later, when the claims must be paid in euros or yen, they find that the dollars they set aside a year or two ago are worth less now. So they must add more dollars to their reserve fund to cover the shortfall. Seasoned exporters have already taken steps to hedge their currency risks, however, so that when it comes time to pay claims in another currency, the funds are available in that local currency. For these companies, the dollar's slide may actually help, because spare parts would be less expensive in the local currency this year even if the dollar price was unchanged. Meanwhile, the reserves they hold in yen or euros or pounds would be worth more in dollars. Next let's take a look at a quartet of major European telecommunications equipment makers. Three report their warranty reserve balances in euros while one uses Swedish kronor. The euro has strengthened from US$1.32 to the euro in 2006 to US$1.46 per euro in 2007 while the kronor has appreciated from 7.3 to the dollar in 2006 to 6.7 to the dollar in 2007. This has the effect of making their European products more expensive to U.S. buyers, which to a company such as Ericsson, which derives 50% of its revenue in the U.S., is a major problem. But to a more geographically dispersed company such as Nokia, which counts only 5% of its sales in North America, it's not such a big deal. Alcatel-Lucent is half American already, though it's officially a French company. Again, this has no effect on the claims or accrual rates, because the reporting currency cancels itself out in the calculation of the percentage. But it does have an impact on sales, in that the gear made in Europe gets more expensive to buy in the U.S. And it has an opposite effect on repair costs, in that accruals made last year in euro or kronor will go further this year in terms of paying for dollar-denominated repair costs. American telecom and computer exporters face the exact opposite problem. Their products manufactured in the U.S. become a real bargain when priced in pounds, kronor or euros, but they cost the U.S. company more to fix locally in Europe than they would if not for the currency devaluation. Even before the dollar's slide began, labor rates and taxes tended to be higher in Western Europe than in the U.S. So the high cost of repairs gets even higher. Nokia, Ericsson and Alcatel-Lucent all follow the calendar year, closing their books on Dec. 31, and report their warranty expenses only once a year, which is why there is no 2008 data in the charts below. Siemens, meanwhile, ends its fiscal year on Sept. 30, which is why there's no fourth quarter 2007 or first quarter 2008 data in its chart (Figure 5). Except for a slight rise in its accrual rate in 2004, Nokia has turned in a relatively stable record for the past five years. Its claims rate has remained between 1.9% and 2.3%, and its accrual rate has stayed in the 2.2% to 2.6% range. Ericsson, meanwhile, enjoyed three stable years of claims rates from 2004 to 2006 before seeing its repair costs dive below 1% in 2007. Its accrual rate has also fallen significantly, from 4% in 2003 to 1.9% in 2005 and 0.8% in 2007. These figures don't include mobile telephone handsets. They're made by a joint venture -- Sony Ericsson Mobile Communications AB -- which reports its warranty expenses separately. But it reports only the opening and closing balances in its reserve fund, and not the claims or accruals, so we can't generate a chart for the company. And to make it even more complicated, the joint venture reports in euros while the parents report in kronor and yen. Siemens and Nokia have a telecom partnership which has had the effect of taking a good portion of its telecom warranty expenses off the Siemens AG income statement. And then Siemens sold off much of its automotive operations to Continental AG late in fiscal 2007, which removed yet another warranty cost-generating product line from its books. On its own, Siemens has a stake in the medical, mass transit and electrical power generation industries. And then through a joint venture with Fujitsu, it has a stake in the computer industry. The reason we mention this is that we suspect all these comings and goings are the cause of some of the volatility in the chart below. One cannot compare Siemens in 2007 to Siemens in previous years because it's a different company with a different product line. So while the rise in accruals may look ominous, it is likely what's appropriate for a company that has largely sold its way out of the telecom equipment and automotive supply businesses. Alcatel-Lucent is quite the opposite story. The figures for 2003 through 2006 are for Alcatel only, while the figures for 2007 include Alcatel's acquisition of Lucent. But before one jumps to the conclusion that it's Lucent's fault that claims and accruals took such a big jump last year, consider this: On Sept. 30, 2006 -- two months before the acquisition was completed -- Lucent's claims rate was 1.9% while its accrual rate was 0.9%. In the second half of 2006, Alcatel's claims rate was 1.3% while its accrual rate was 2%. Now, the combined companies have a 2.5% claims rate and a 3.4% accrual rate. Finally, let's turn our attention back to Japan, looking at four of the world's best-known consumer electronics brands: Sony, Hitachi, Matsushita (parent of Panasonic) and Canon. All four report in yen, and three of the four end their fiscal years on March 31 (Canon follows the calendar year). 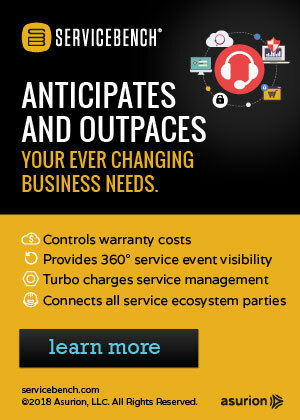 Three report their warranty expenses only once a year, while Hitachi reports every six months. What becomes immediately clear is that warranty costs aren't all that great in the consumer electronics industry. Compared to the automotive and computer industries, where 2.5% or even 3% claims and accrual rates are the norm, the percentages in Figures 7 through 10 aren't all that high. Sony, of course, is also a computer manufacturer, which is perhaps why its percentages are somewhat higher than the others. We should note that we're basing these percentages on just the company's manufactured products, subtracting out its film and music revenues before computing the claims and accrual rates. Hitachi reports its warranty figures in September and March, which is why the estimates below occur in couplets rather than quartets. And after spending four years in a range of 0.6% to 0.8% with its claims and accrual rates, it's notable that the company spent all of fiscal 2008 below 0.5%. Matsushita, meanwhile, has remained within a tight range of 0.4% to 0.6% for all of the past five years. Sales were down slightly in fiscal 2008, but warranty costs were down by slightly more, leading to a recent drop in the claims and accrual rates to their lowest points since at least fiscal 2003. And then there's Canon. Next time somebody suggests that digital cameras are failure-prone, mention to them that Canon has never spent more than 0.6% of its revenue on warranty claims. Given that its product warranties tend to last for a full year (parts and labor), this is all the more remarkable. So what does this whirlwind international warranty tour tell us? For the Japanese automakers, it suggests that the elevated quality ratings they enjoy are more than mere opinions. For the European telecom companies, warranty is as much a challenge for them to manage as it is for Motorola, Nortel, and other North American telecom equipment manufacturers. For the best-known Japanese consumer electronics companies, however, warranty doesn't appear to be much of a problem. Nvidia shares fall on falling demand, lower prices and higher warranty expenses. Toyota must refund Quebeckers for warranty transfer fees ruled illegal by appeals court. A.M. Best assigns an A- rating to Sentruity Casualty Co., part of GS Administrators Inc. The Warranty Group makes Roger Humber divisional managing director-creditor at London General. Blockbuster withdraws plan to acquire Circuit City. Petitions delivered for Arizona homeowners' bill of rights ballot initiative. BP Computers cancels warranty service contract with Fujitsu Australia after only eight months. Bank of America Corp. completes purchase of Countrywide Financial Corp. at a reduced price. Scan-Auto implements Automaster Groups Vehicle Importer Warranty system. Dell adds lost laptop, data delete, accidental damage coverage to ProSupport Mobility Services. Retired Dell CFO Donald J. Carty gets $300,000 thank you for managing SEC probe response. JM Family Enterprises makes Computerworld's Annual List of Best Places to Work in IT. Iran-Khodro Auto Manufacturing Co. offers three-year warranty on Samands exported to Russia. Stainsafe voids extended warranty and refunds premium after furniture retailer closes. Retired Intel chairman Andy Grove pushes gasoline-to-electric car conversions. Prius owners report problems that Toyota officials deny are caused by defects. Where to get gray market iPhone imports fixed in Australia. Owner of iPod Mechanic repair shop sued by Apple for warranty fraud and misuse of trademark. Harmonix postpones end of Rock Band peripherals warranty concessions until Otcober 1. Ultimate Warranty and Capital Assurance RRG won't pay claims while in receivership. Used auto dealers fined $200,000 for pocketing extended warranty premiums meant for SafeChoice. New KPMG white paper examines impact of gray market on information technology. Dell lays off 80 workers at West Chester, Ohio warranty parts facility. Sedgwick Claims Management Services Inc. opens credit card & consumer warranty unit. "Free" TV converter box costs nearly $100 after paying for shiping and warranty. Better Business Bureau warns of misleading claims in Universal TechTronics TV converter box ads. Recent floods in Indiana ruin electronic voting machines and void their warranties. Environmental Protection Agency warns truckers about dangers of low-priced Mexican diesel. ASTM approves three new biodiesel blend specifications: 5%, 6-20% and 100% biodiesel. Cricket Communications offers $2/mo. over-the-air data backup service managed by Asurion. Circuit City says extended warranty sales fell to $53.8 million in the first quarter. Auto dealers look for ways to boost service as warranty work declines. Resource Automotive launches new Web site to help service contract customers with claims. CertainTeed voids shingle warranties after windstorm damages roofs in Texas. GSFSGroup appoints Stephen Amos as its new president. LG lengthens product warranties in Kenya to two or three years to fight counterfeits. Chrysler sues Magna International over recall of heated seats used in minivans. Rolls-Royce Helicopter Engines to use the 4CS iWarranty Lifecycle Management Solution. Australian Senate finds home warranty company collected $225m in premiums and paid out $16m in claims. Home Warranty of America revamps web site to simplify shopping process. Asurion merges with N.E.W. Customer Service Companies Inc.; new name is NEWAsurion. Cross Country Home Services president Sandra C. Finn selected as prominent female executive. Marc Karman launches Auto Warranty Research.com as a glossary of warranty fundamentals. IBM and Ricoh's joint venture InfoPrint Solutions Company turns a year old. Boat engine makers post advice about ethanol fuel blends and warranties. Guide to the 100 million dollar counterfeit mobile phone industry. New York judge says Dell misled customers on free financing and "next day" repair services. Columnist visits three Wal-Mart stores to probe the company's extended warranty sales tactics.